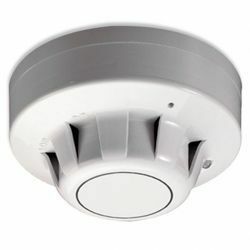 The Apollo 55000-213 APO was a Conventional Ionisation Smoke Detector from their Series 60 range of fire alarm system equipment. This detector is now obsolete as the Series 60 range has been replaced by the Apollo Series 65 range. The new detector to replace the Apollo 55000-213 detector is the Apollo 55000-217 sensor. The Apollo 55000-217 Detector along with the rest of the Apollo Series 65 range is availavle to buy from The Safety Centre. These devices are suitable for use with most modern conventional type fire alarm control panels. If you’re intererested in the Apollo Series 65 range you may also be interested in our Apollo XP95 Call Point and Apollo XP95 Detectors.